The Walmart coupon portal has a new hot coupon! Get a BOGO for Nature Valley bars! 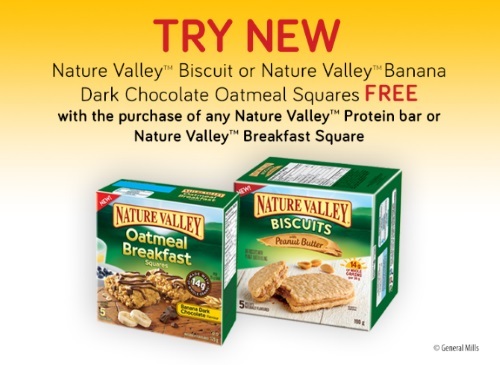 Get a Free Nature Valley Biscuit or Banana Dark Chocolate Oatmeal Square when you purchase any Nature Valley Protein bar or Breakfast Square! This is a print coupon from Save.ca's Walmart coupon portal, available while quantities last. Click here to enter the coupon.